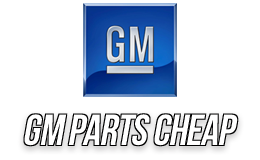 Genuine GM parts are the highest-quality replacement products available for your GM vehicle. They’re the only products specifically designed, made and tested by the factory to keep your vehicle running at peak performance. After all, it's the ones it was born with. We provide GM OEM parts direct from General Motors. Our site offers an easy to use online catalog with illustrations. All your personal information is safe, it is sent through secure communications (https://) by encrypting all data to and from the site. The catalog covers Buick, Cadillac, Chevrolet, GMC truck, Pontiac, and Oldsmobile from 1985 to most recent. We sell GM factory parts at wholesale prices and have a 97% 24hour fulfill rate. If we do not stock the item we can get it next day, if not same day. There will be no extra charge to you for this service. When placing your order online it is important to provide us with your GM VIN (Vehicle Identification Number). This helps us send you the correct replacement parts on the first time. The VIN can be found on your insurance card, registration, door jam and/or drivers side top of the dash. Items that are purchased from us are genuine GM parts and carry the standard GM factory parts warranty. Which is 12mo/12,000 mls. or 3yrs/36,000 mls on engines and transmissions. This warranty is good at any Buick, Cadillac, Chevrolet, GMC, Pontiac or Oldsmobile dealership in the United States. No matter where you live the warranty will be honored at any GM dealership. *Dealer will need proof of purchase.